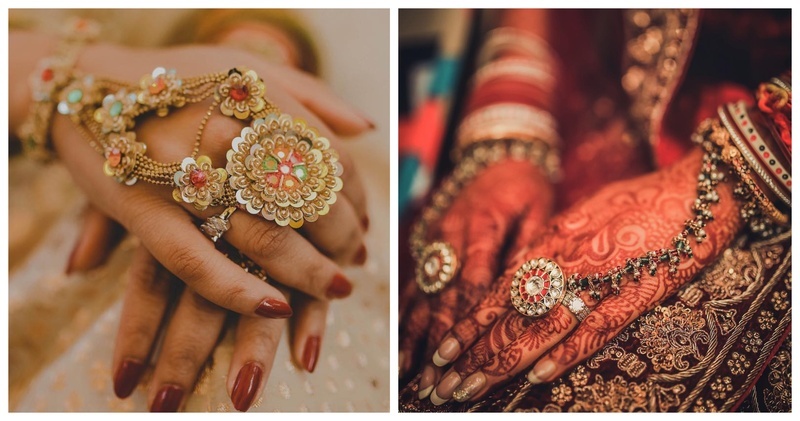 15 unique & super pretty Haath Phools which are NOT floral jewellery designs! Haath phools are one of the most important elements of your mehndi day. While ‘mehndi hai rachne waali’ goes in the background, you want to dance gracefully showing off your hands with the mehndi design and those pretty haath phools! These trinkets can completely make your mehndi portraits pop out.